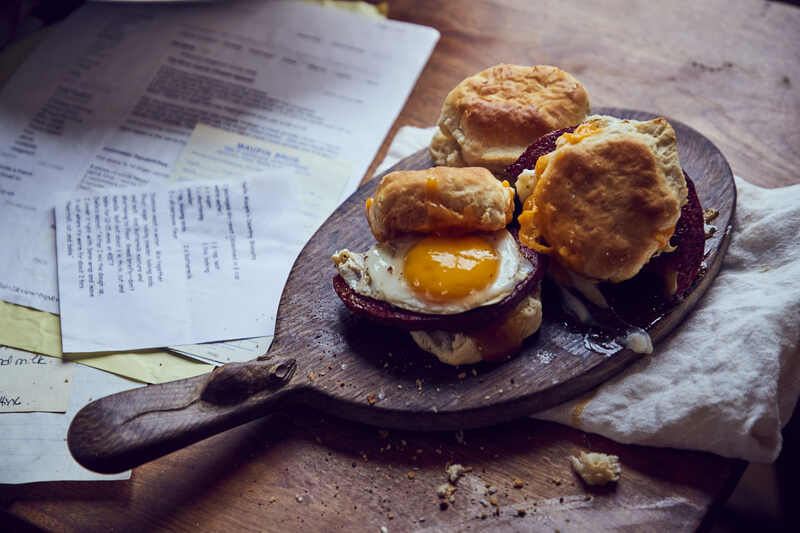 Turkey rising … Chef/owner Mason Hereford and the rest of the team behind Turkey and the Wolf, the hit sandwich shop on Jackson Avenue, have just opened their highly anticipated breakfast spot on Magazine Street, dubbed Molly's Rise & Shine. Named after Hereford's little sister, Molly's features fun dishes made in the same creative spirit as its brother Turkey and the Wolf. Try the Deviled Egg Tostada with collard greens and peanut salad, Roasted Carrot Yogurt with fresh berries and house-made granola, and my personal favorite (a sandwich that was briefly featured at Turkey and the Wolf), the Grand Slam Muffin, with two pork sausage patties, hash browns, and American cheese on a huge English muffin. 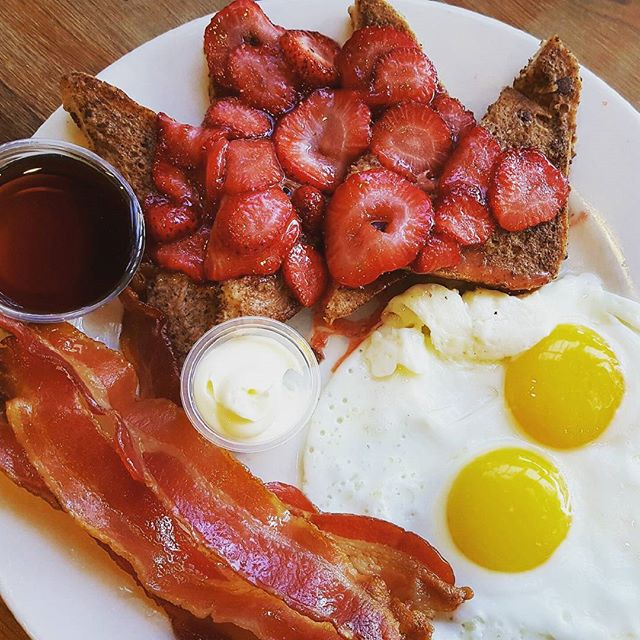 Molly's Rise & Shine is open 8 a.m. to 3 p.m. every day but Tuesday. Breakfast is the new black … Laid-back Mid-City breakfast spot Wakin' Bakin' has opened a second location on Prytania Street in the building that formerly housed the restaurant Coulis and the Bluebird Café. 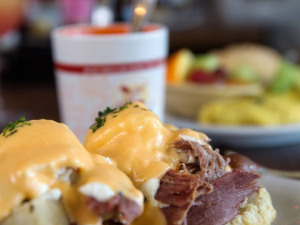 This second location features the menu you know and love from the Banks Street location, with items like the Big John sausage and cheddar biscuit, sold with a cuppa joe for $5, and the Gravy Train, with sausage gravy-smothered biscuits served with bacon and eggs. Wakin' Bakin' Prytania is open daily from 7 a.m. to 2 p.m.
That's one hot bonnet! … The Lower Garden District can add another vegan option to its roster with Bonnets NOLA, a vegan (and non-vegan) Caribbean/soul food joint that opened on Magazine Street. Located in a building that housed such restaurants as Jackson and, more recently, Roux Public House, Bonnets NOLA offers dishes like Jerk Rolls with gouda and collards, conch fritters with remoulade or jerk ranch sauce, smothered oxtail, curried goat, and fried chicken. Sides range from crawfish mac to steamed cabbage to candied yams. Bonnets NOLA is open daily for lunch and dinner. A lacy roch? … The newest vendor at St. Roch Market is Doily, created by local chef and sommelier Deven Dawson. This most recent adventure showcases a “simple, but eclectic collection of sweet and savory sandwiches, salads, and desserts with a whimsical flair.” Try a cup of tomato basil soup with Black and Bleu Steak Sandwich, with blackened tenderloin, purple grapes, and bleu cheese on toasted French bread, or a turkey and artichoke sandwich on sourdough. 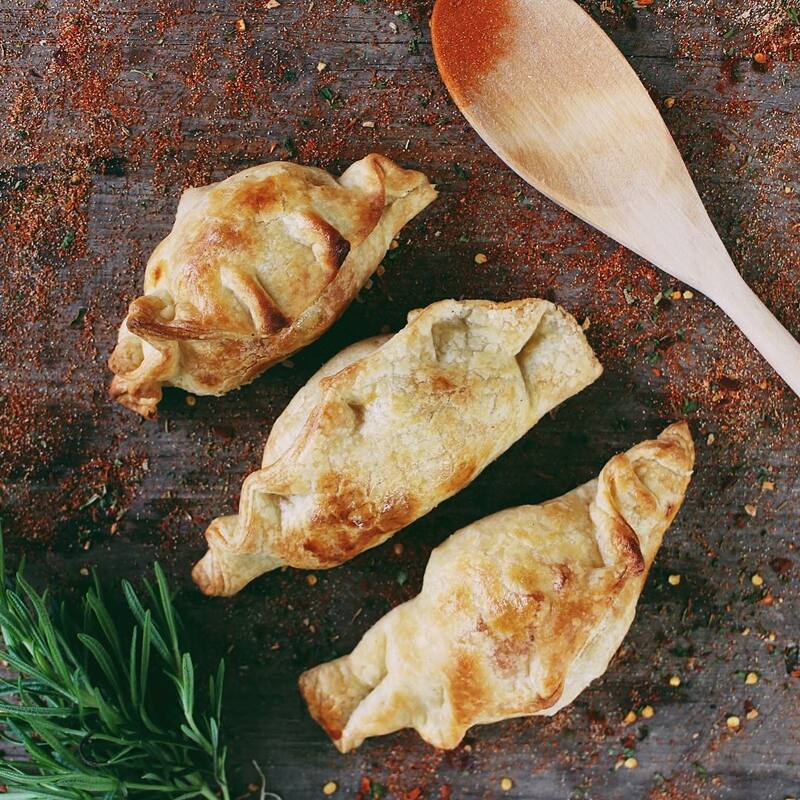 Mmmore meat pies! … Empanola, the creative meat pie vendor at St. Roch Market, now has its own digs on Freret Street near Tulane University. Located in what was formerly a hair salon, the tiny space is pretty much a grab-and-go with a couple of tables for the lucky ones. Their menu features inspired meat pies, with fillings like crawfish etouffée, gumbo, shrimp and cheese, ratatouille, beef bourguignon, and salmon with leeks. Empanola also offers a few salads and soups, like gazpacho and tomato basil, fine accompaniments for any savory pastry they serve. Empanola is open daily from 10 a.m. to 9 p.m. This java's jumpin' … French Truck Coffee, the wildly popular small-batch roaster with the signature bright-yellow Citroën truck, has just launched their fourth New Orleans location, on Magazine Street in the Garden District. Taking over the former CC's Coffee House space, the new café features French Truck's special brews and pastries. The company is planning its fifth opening soon, downtown on Poydras. It's possible that before long, the whole world will be bright yellow and extremely well-caffeinated. Who's your daddy? … Chef Todd Pulsinelli is heading up Warbucks, the latest creation by BRG Hospitality. 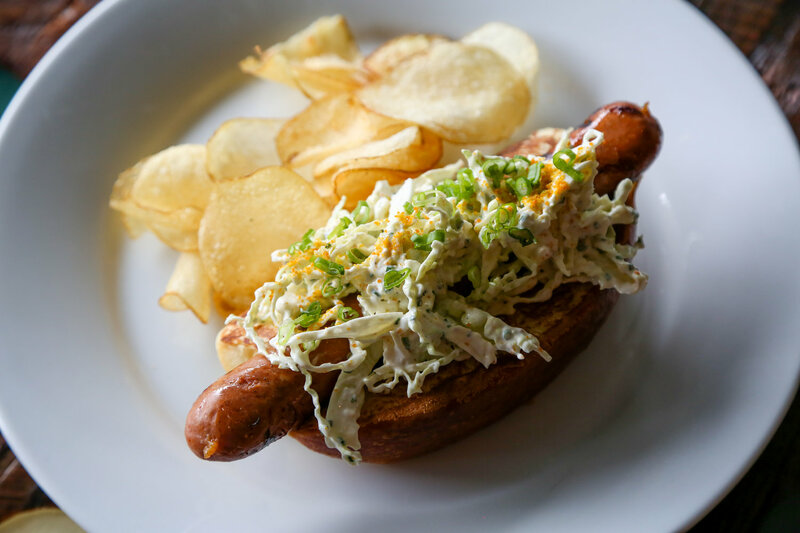 Occupying the space that was formerly Amici Ristorante & Bar, Warbucks is a funky new diner embracing two very different cultures—rap and skateboarding—both of Pulsinelli's beloved hobbies—and they also serve food! The menu offers things like smoked double-cut pork ribs with achiote and mirliton pickles, corn dog “elote,” lacquered pork belly, and grilled mahi with oxtail sauce and hash browns. Warbucks is open daily from 11 a.m. to 10 p.m.